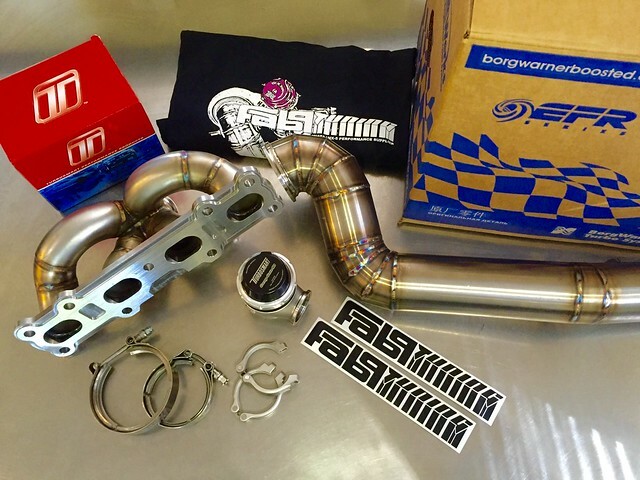 The Fab9Tuning Side-Mount Turbo Manifold & Downpipe Kits - NOW SHIPPING. 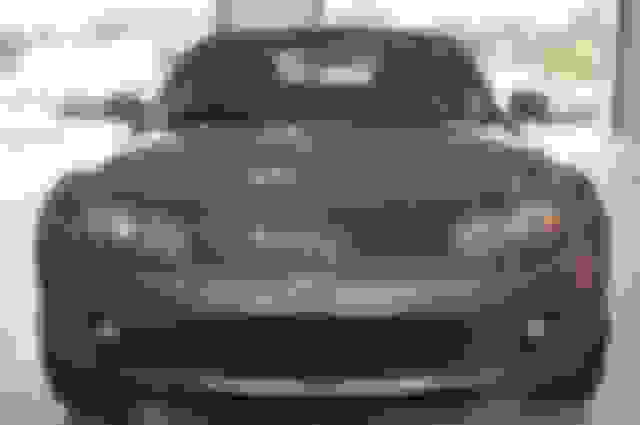 EFR+Garrett - Page 3 - Miata Turbo Forum - Boost cars, acquire cats. Fab9 Tuning - Miata Performance Parts Fab9 Tuning specializes in bringing the highest performing Mazda Miata parts on the market today. Correct - we leave you with room to adapt the system to whatever your exhaust configuration might be. We do have a V-Band Flange/Flex Pipe kit that should make things easier if you'd like to ditch an existing bolted style flange for a V-Band configuration. We obviously don't want someone running our 3" down pipe into a stock exhaust flange. A customer vehicle with a 2.5 swap will be running our setup in 3 weeks, our own NC will be running it shortly after. Can't say I completely recommend this but it is enjoyable to see customers getting excited. He didn't even get it off his driveway before mocking his EFR Side Mount Kit up. We're now back to offering the Garrett V-Band configuration. That's actually my plot and yes, that was done in 5th gear. Maybe I'll get the hardware for this kit and do a Fab9 vs ARTech shootout! That first plot was from @Jeffbucc - turns out he had a bad valve and a malfunctioning boost controller - My 7163 NB spools much quicker than his 6258 plot - I don't recall if he resolved it before engine failure though. None of my plots should be taken as a reflection of the performance of Fab9's kit. I had a bad valve on the first tune and then head gasket issues on the following tune. Until the engine is rebuilt I won't have a better plot. 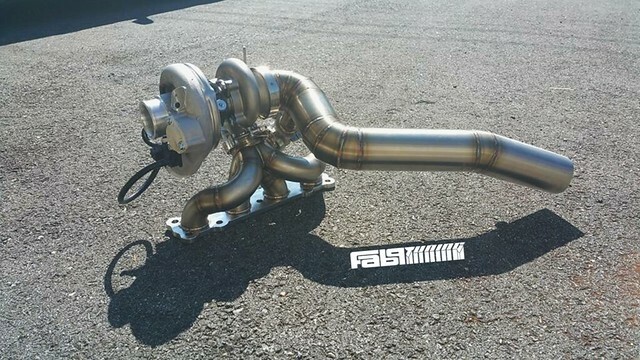 But, after that, it should hopefully reflect the performance akin to the quality of his turbo kit. Which, is beautiful. If anything, you might get quicker spool with the short manifold. 2 More kits shipping this week, this here Turbosmart kit and a TiAL! We have a TiAL mani/downpipe on the shelf ready to ship. 100% caught up on these guys! Each configuration now on the shelf! Partial Turbo kit for a 1.6 and dual headlight kit.